This best-selling pillow graces the beds of many hotels worldwide providing medium support ideal for all sleep positions. Made with Hyperclean® down, the Hotel Touch of Down features an innovative pillow-in-a-pillow design that provides durable, yet comfortable support for a fuller, fluffier sleep experience. I love it - very comfortable, support is good, just a very quality pillow. I sleep great on it! Grace your bed with the same full, fluffy comfort found in fine hotels around the world featuring an increased amount of down and feathers over our Down Surround® pillow. 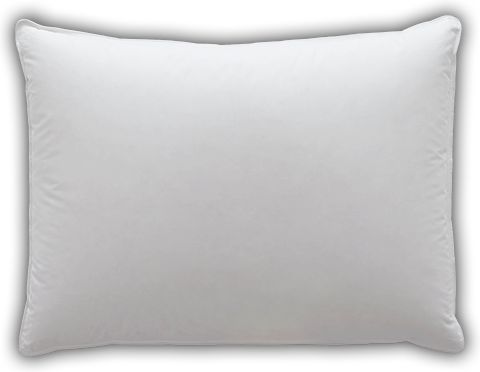 This best-selling pillow design has an inner pillow of springy Resilia® feathers and is completely enveloped by 550 fill power of Hyperclean® down. This pillow delivers sink in softness and medium to firm support suitable for all sleeping positions. The cover is 230 thread count, 100% cotton trimmed with white cording. Our Hotel Collection Touch of Down® Pillow is machine washable/dryable for easy care. Our best selling design, the Down Around® is like two pillows in one. 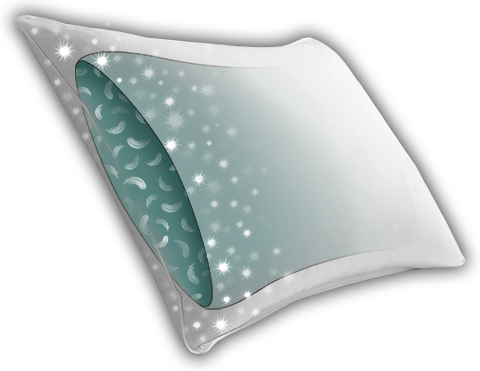 A feather filled inner pillow is cleverly surrounded by an outer pillow filled with down. This incredible combination treats you to fluffy comfort as you lay your head on the pillow - with the feather filled inner pillow delivering springy, resilient support that lasts throughout the night for a sleep experience like no other.